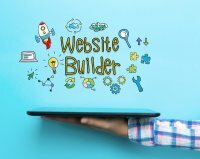 Comparing Web.com vs GoDaddy: Which Website Builder Is Right for You? 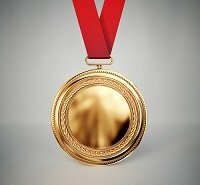 You don’t need to spend thousands of dollars on web design services. 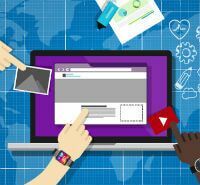 In fact, you can build your own website from scratch even if you consider yourself less tech-savvy. 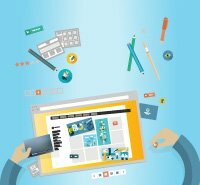 All you need is a quality drag-and-drop website builder. 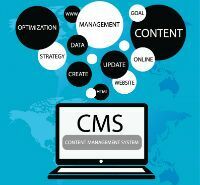 Web.com and GoDaddy are both known for their excellent DIY website builders, but each platform has its own set of benefits and drawbacks. Let’s take a look at some of the key selling points. No matter which web-building platform you choose, your first step will be to choose a template, or theme for your website. Your template provides the basic layout for your site, including the overall design, artistic effects, and menu arrangements. Web.com and GoDaddy both have some extremely attractive options to choose from, but Web.com has a much greater variety overall. With Web.com, you have more than 2,500 themes to choose from, including specialty themes designed for bands, pets, blogs, and a variety of professional industries. GoDaddy only offers 50 themes on the Personal plan and 300 themes on the Business and Commerce plans. The ease-of-use factor is a toss-up because both GoDaddy and Web.com offer extremely user-friendly drag-and-drop formats. There is hardly any learning curve as your website builder guides you step by step through the web-building process and allows you to effortlessly move elements around the screen. GoDaddy has a slight edge here, not because the platform is easier to use, but because it includes some additional features to make your life simpler. While both sites offer free stock images to use as part of your web design, GoDaddy actually has access to some of the highest-quality stock photos in the world through Getty Images. In addition, GoDaddy has photo editing software built in, so you can edit all of your images in real time right on your web-builder screen. Research shows that more people are now surfing the web on their phones than on their computers. This means it’s absolutely critical to choose a mobile-friendly website builder, so your users can be on your site from any device at any time. 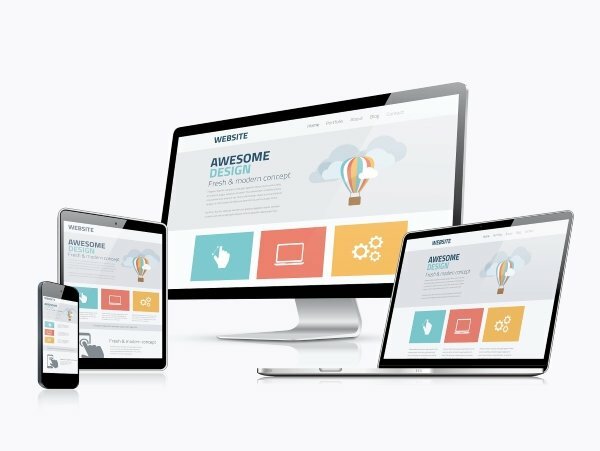 Both Web.com and GoDaddy use responsive templates, which means that websites automatically adjust themselves to be user-friendly on both desktop and mobile devices. However, Web.com actually takes it a step further and allows you to edit your mobile layout. In other words, you can adjust your elements and menus and choose exactly how your site will look on mobile devices. GoDaddy doesn’t currently offer a feature like this. 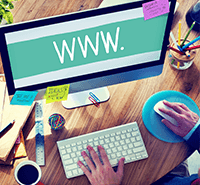 If you want simplicity, Web.com will serve you well for e-commerce. Your e-commerce membership comes equipped with everything you need to build your site and start selling. Web.com is partnered with Simplify Commerce, so you can instantly start accepting credit card transactions with no more than a 2.85% transaction fee and an additional 30 cents per order. If you want greater variety in the types of payments you can accept, GoDaddy may be a tempting choice. Though GoDaddy once required separate memberships for hosting, web building, and e-commerce, the company has now bundled all of these services into one simple membership: GoDaddy Commerce. The company has partnered with Stripe, Dwolla, and PayPal, so you can easily accept credit cards, debit cards, and even electronic checks from all over the world. A Personal membership is only $5.99 per month, and it includes all of the basic functions of the website builder. A Business membership is $9.99 per month while a Business Plus membership runs $14.99 per month. Both of these memberships provide added security for your website as well as expanded features for marketing and search engine optimization (SEO). The Business Plus membership also includes email marketing tools, social media tools, and improved speed to accommodate heavier web traffic. A Commerce membership (required for e-commerce customers) runs $29.99 per month and includes a shopping cart and other e-commerce essentials. Web.com has a slightly simpler but costlier payment model. A basic account is $22.95. For added marketing tools, you’ll pay $32.95. For an e-commerce website, you’ll pay $42.95. This is noticeably higher than the similar packages offered by GoDaddy, but it’s worth noting that Web.com offers unlimited web storage (GoDaddy does not), so it can still be a better value for customers with large product lines or heavy storage needs. GoDaddy $5.99 m. $9.99 m. (or $14.99 for expanded features) $29.99 m.
Web.com $22.95 m. $32.95 m. $42.99 m.
If you’re looking to build a simple website for yourself or your small business, go with GoDaddy. The value can’t be beat, and the layout couldn’t be easier to work with. If you’re trying to build an e-commerce empire with a large product line and even more room for growth, go with Web.com. The unlimited storage will accommodate your growing inventory, the enhanced mobile friendliness will give you an edge with smartphone shoppers, and the massive library of gorgeous templates will ensure that you can find just the perfect layout for your business. Chris Scalise has spent the past decade managing every facet of website building, front-end development, and SEO on behalf of leading marketing agencies. He has collaborated with such industry-leading brands as Quaker Oats, Jack Daniels, and the Oprah Winfrey Network. Coincidentally, he loves eating oatmeal and drinking whiskey while watching Oprah.